One of the most important things to keep you on the right track is the wall calendar as it lets you know about the current date and day. 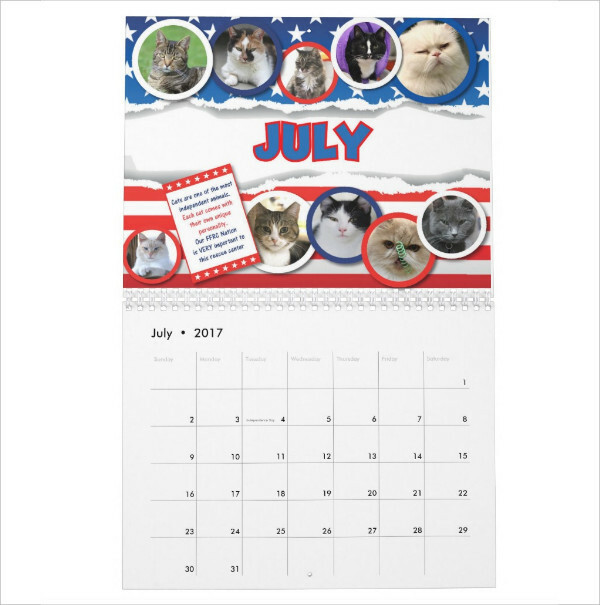 There are plenty of desk calendar designs available that you can use to create an amazing calendar. 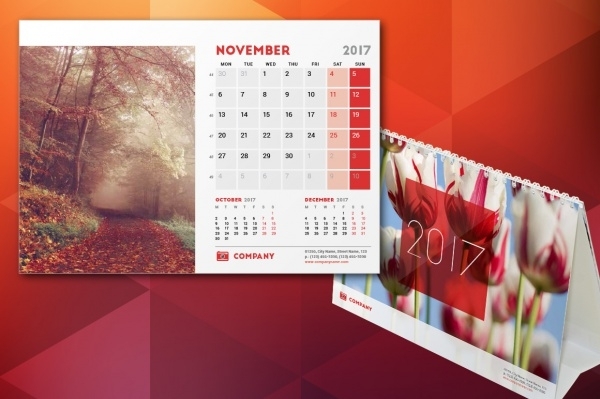 With these calendar designs, you can make your desk look neat and professional as these designs get along with the surrounding perfectly. Scroll down to take a look at the stunning calendar designs! 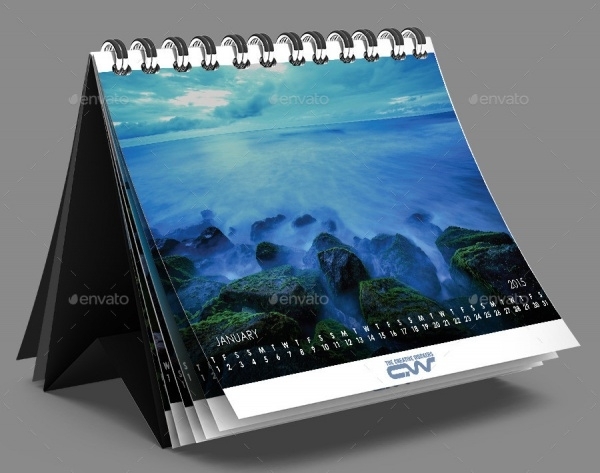 You may also see Free PSD Calendars Designs. This is a simple and professional desk calendar, which features day and date per month on a new page. 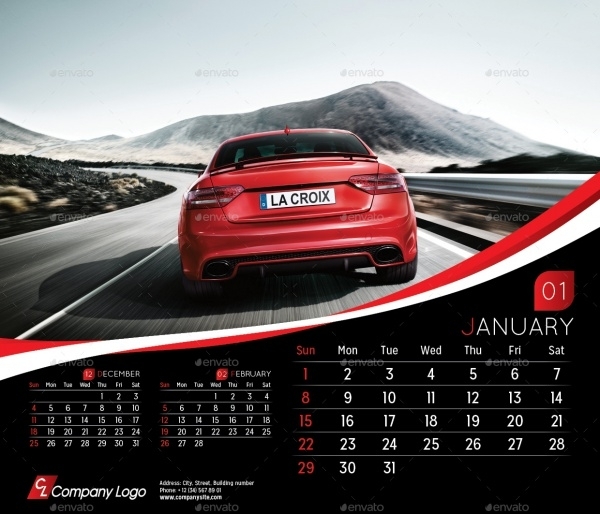 The elegant layout of this PSD calendar accompanied with interesting graphics makes it look more appealing. You may also see School Calendar Designs. This is an innovative month desk calendar showcasing an eye-catchy layout at one side and other side features dates of all the months. 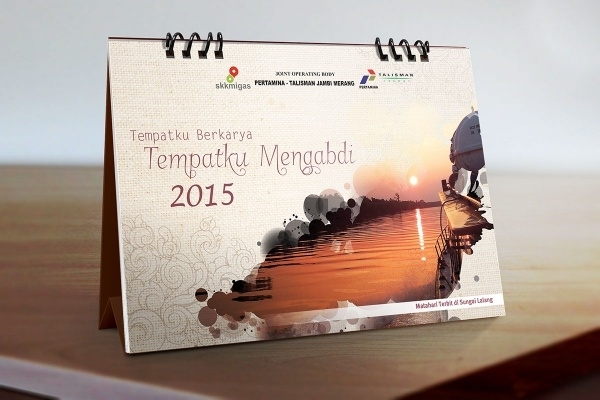 This New Year desk calendar can be used to distribute among the employees. You may also see Business Calendar Designs. 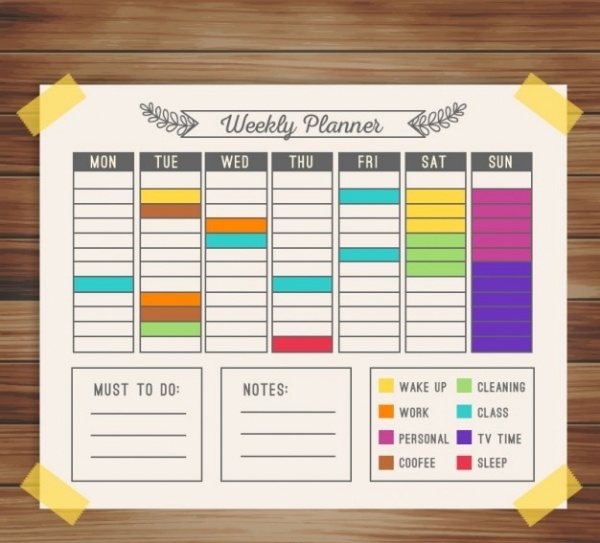 This is colorfully designed weekly calendar, which is popularly used as the desktop planner. It also consists of the sections for writing down notes, important things to do and other task schedules. Here’s an amazing printable desk calendar that comes with excellent features such as 300 dpi resolution, CMYK, and much more. It contains all the elements that can be easily customizable and editable. This is a professionally designed company desk calendar featuring a clean and modern layout. It consists of 12 pages and a cover design. It comes with three different front cover options. 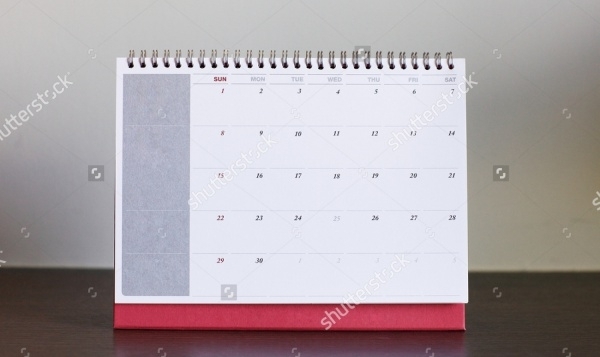 Here’s a blank desk calendar design, which is all you need to simply showcase the date and day of every month. The amazing color combination of this PSD calendar makes it appear appealing. 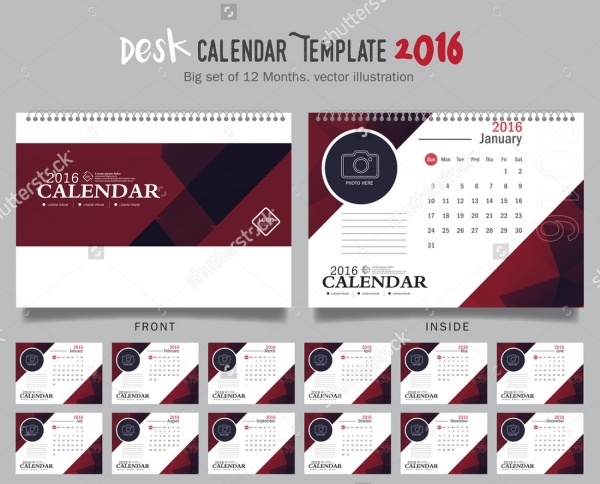 Here’s remarkable desk calendar PSD template that overall consists of 12 pages and cover. It features week starting from Sunday as well as Monday, so you can use one as per your preferences. This is a brilliantly designed A5 desk calendar design that comes with a high resolution of 300 dpi. It is a psd calendar, which contains 7 pages. It is a bi-fold calendar design. 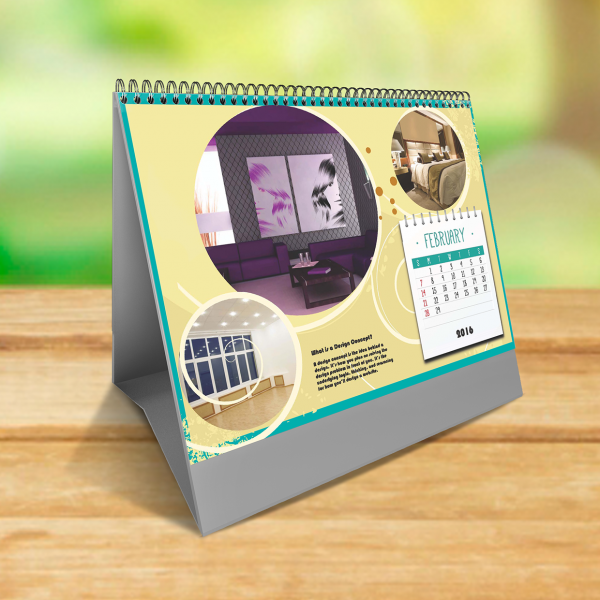 This is a beautifully designed promotional desk calendar that will advertise about your company in an exciting way. It is a set of 12 months, which feature week starting from Sunday. 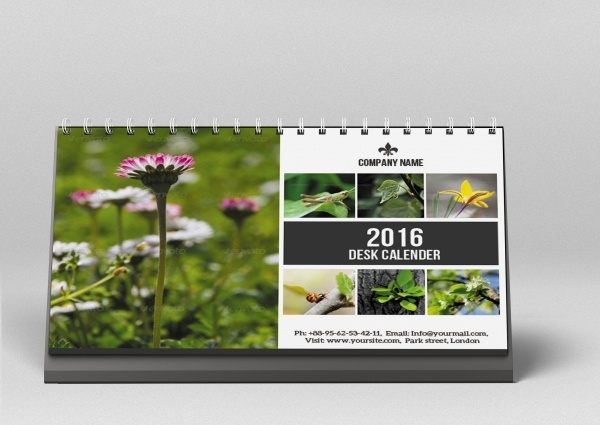 Here’s a wonderful monthly desk calendar design that has a black background and eye-catchy image imprinted on it. It is fully editable and allows you to change the language of the design as per your preferences. This is a colorfully designed desk calendar template, which comes in A5 size. It allows you to add your contact information, logo, photos and other details on it. It has 12 pages for 12 months and 1 cover page. 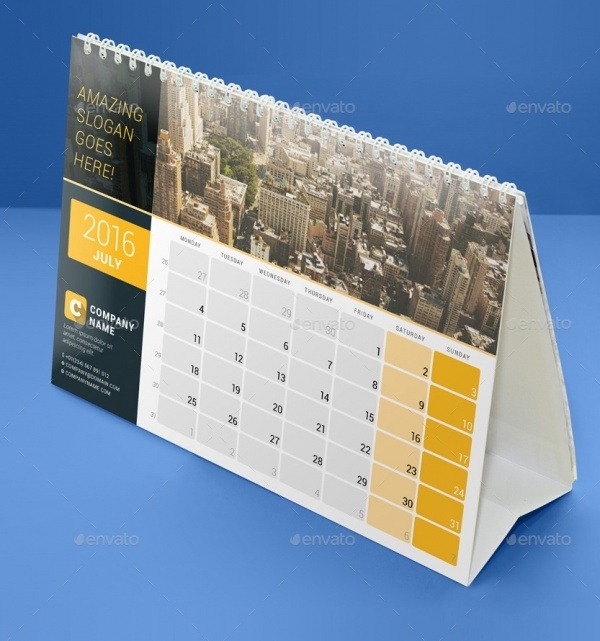 This is an elegantly designed corporate desk calendar, which features the background of white and blue color. It clearly showcase the date, day and month imprinted on it. 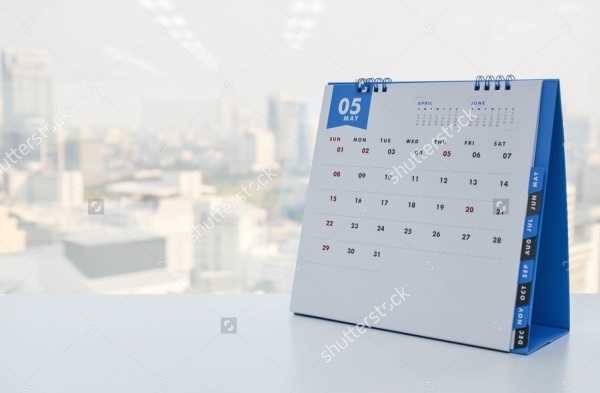 Here’s a PSD calendar design that will help you to a create stylish small calendar for fashion, corporate, automotive, college or any other business. This amazing wall calendar is fully editable. This is one of the most amazing desk calendar designs, which display beautiful portrait and paintings. 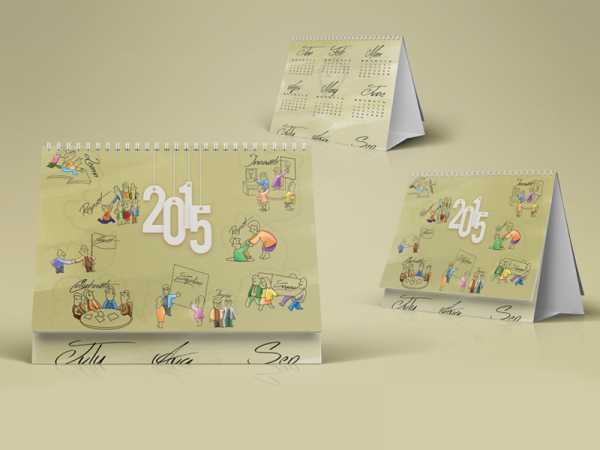 Use the below link to instantly download this eye catchy calendar design for your use. Here’s a original illustrations of flowers and botanicals that adorns this wood stand desk calendar. All the cards for various months sit perfectly in the wood stand. 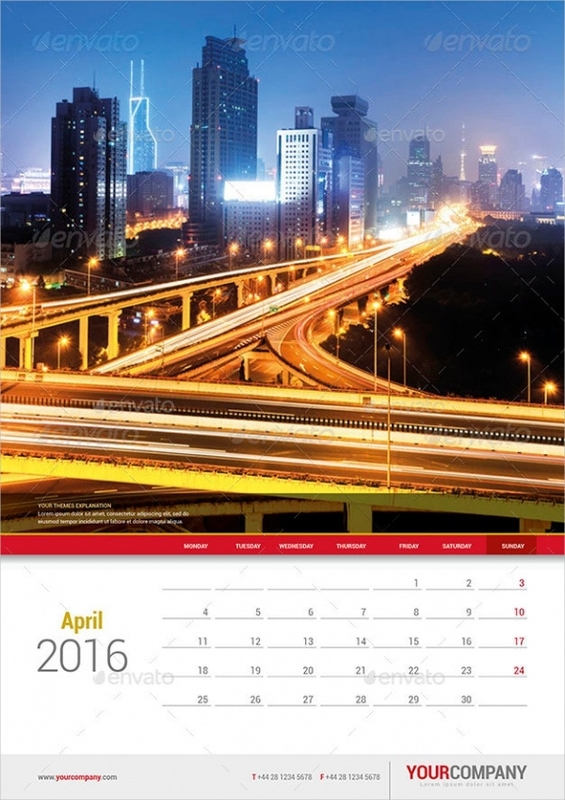 Click below to download this outstanding desk calendar. 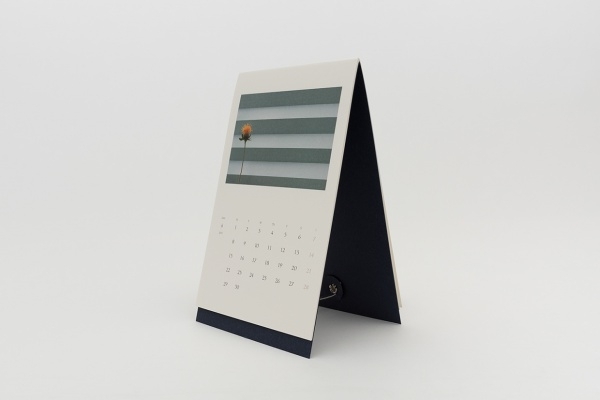 Undoubtedly, these desk calendar designs had a great impression on you. So, don’t wait up more and download the appropriate desk calendar for your office. 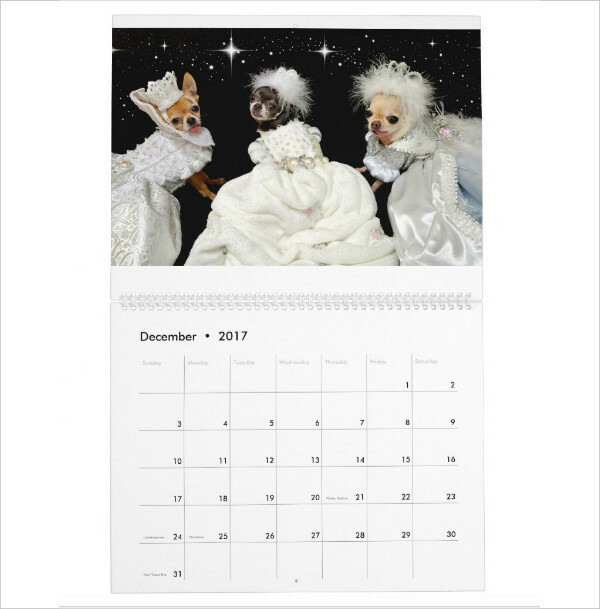 There is also availability of the awesome desktop calendar designs that can beautify the appearance of your desktop and keep you updated about the current month.